Every Fourth of July I remember a battlefield I’ve walked across numerous times. 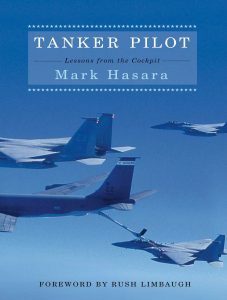 My assignment after the 2003 Iraq invasion was instructing at the Joint Combined Warfighter School in Norfolk Virginia, teaching 350 U.S. and allied officers planning and execution. The 10-week course gave us an opportunity to learn from the best US military minds. The school’s location in Norfolk allowed opportunities to visit important military installations. Every class visited the US Coast Guard’s Training Center 30 minutes north of campus. Turning right onto Ballard Street for the Coast Guard Training Center gate, we drove through a wide open field. Small earthwork hills passed off our right. At the field’s eastern edge, two long earthen berms rose above the grass. 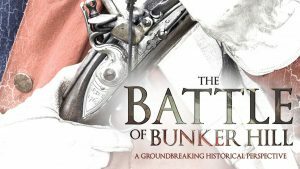 These two fortifications are a critical part of American history, this battlefield the last place British and American troops fought during the Revolutionary War. American and French allies fought side-by-side in the trenches. British and German troops occupied the small port of Yorktown Virginia. British General Charles Cornwallis’ army marched for Yorktown on July 4th, 1781. By October 17th, American and French forces defeated the British at Yorktown. Cornwallis’ surrender to General George Washington and French Generals Comte de Rochambeau and Marquis de Lafayette turned the world upside down. Holy days are despised, new fashions are devised. Old Christmas is kick’d out of town. Yet let’s be content, and the times lament, you see the world turned upside down. The Battle of Yorktown during the American Revolutionary War. 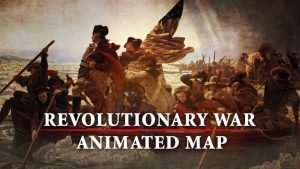 From the Civil War Trust Revolutionary War Animated Map. The world was at war in 1781, and the siege of Yorktown was an international venture. No one thought George Washington’s Continental Army could beat a military superpower. General Washington’s fortune changed when the French became our allies. 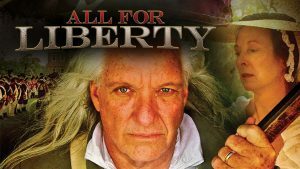 General Jean-Baptiste de Rochambeau had forty years of battlefield experience, advising and never countermanding General Washington throughout the Yorktown battle. Cornwallis marched north from his Carolina’s campaign with orders from General Henry Clinton to defend the port at Yorktown. Cornwallis brought with him German Hessian troops, the mercenaries of the British army fighting against the Americans. Across York River Major Banastre Tarleton led a group of British cavalry at Gloucester Point, blocking American and French troops marching from the north. Cornwallis forces could be reinforced and provisioned from New York in Admiral Thomas Graves fleet of ships. 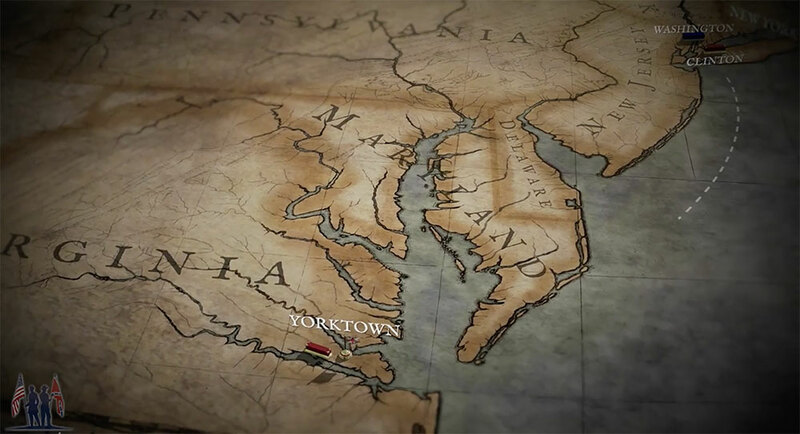 If British and Hessian soldiers could hold Yorktown’s port, Cornwallis controlled the Chesapeake Bay all the way to Baltimore. Two events I feel changed the course at Yorktown, one by land, two by sea. Cornwallis’ interior defensive line ended to his southeast at two massive earthen fortifications called Redoubts. Redoubt 9 and 10 held 200 British and Hessian troops. Conferring with Generals Rochambeau and Lafayette, Washington devised a plan to capture Redoubt 9 and 10. At 6:00 pm October 14th Washington ordered the Redoubts captured. Four hundred French soldiers attacked and captured Redoubt 9, led by General Wilhelm von Zweibrücken. Four hundred American troops led by Alexander Hamilton charged and captured Redoubt 10. Holding Redoubts 9 and 10 ended the land campaign. American artillery guns moved into the Redoubts on October 16th, firing directly on British forces spread throughout Yorktown. Desperately trying to save his forces, Cornwallis evacuated soldiers across the York River. One wave of boats made it before a squall cut off the escape route. Articles of Capitulation were signed on October 19th, and Washington’s army walked into Yorktown at 2:00 pm. American forces captured 8000 British troops, 214 artillery pieces, thousands of muskets, and 24 transport ships. Cornwallis did not attend the surrender ceremony, citing an illness. General Washington moved his army north to New York where they remained until signing the Treaty of Paris on September 3rd, 1783 ending the war.